What are “Out” and “In” On A Golf Scorecard? 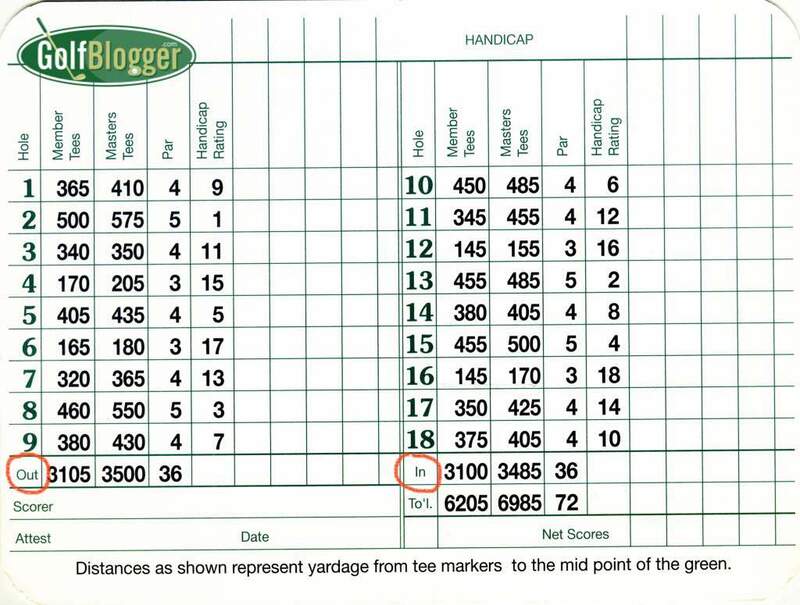 The terms “Out” and “In” on golf scorecards refer to the first nine holes, and the second nine holes, respectively. Out and In are remnants of the design of many early courses, in which the first nine holes played away from the clubhouse, while the second nine returned. 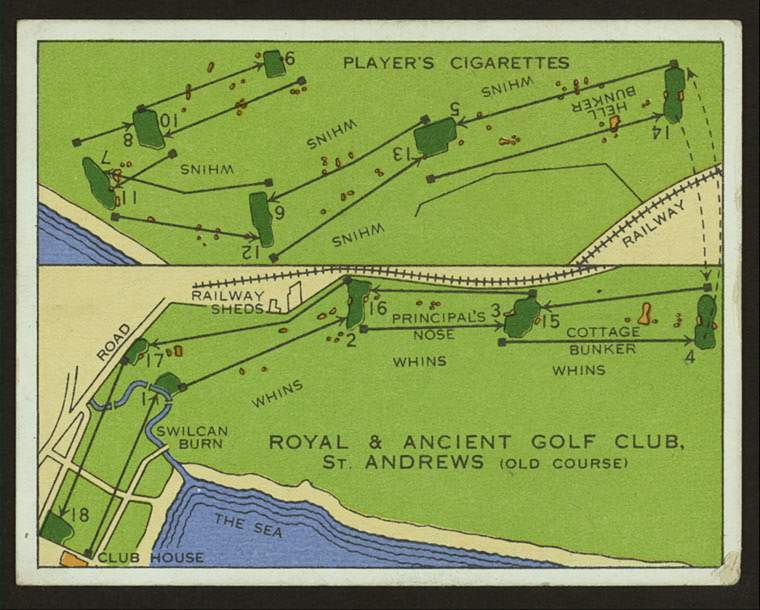 The Old Course at St. Andrews is the best example. After teeing off, a golfer will play out to the ninth green, which is the furthest from the clubhouse. From there, the holes get progressively closer to the clubhouse, often sharing greens with holes on the outward nine. The eighteenth green finishes, as does the first tee, in the shadow of the club house. You can see this in the old cigarette card advertisement below. In this, a golf course formed a loop, leading to the term “loop” to describe a round. It also likely is the origin of the term “round” to describe a full game of golf. Today, for a variety of reasons (not the least of which is the sale of food and beverage), courses are more likely to consist of two nine holes loops, with the first and tenth tees, and the ninth and eighteenth greens near the clubhouse. The two nines are still known as the outward and inward nine, however.